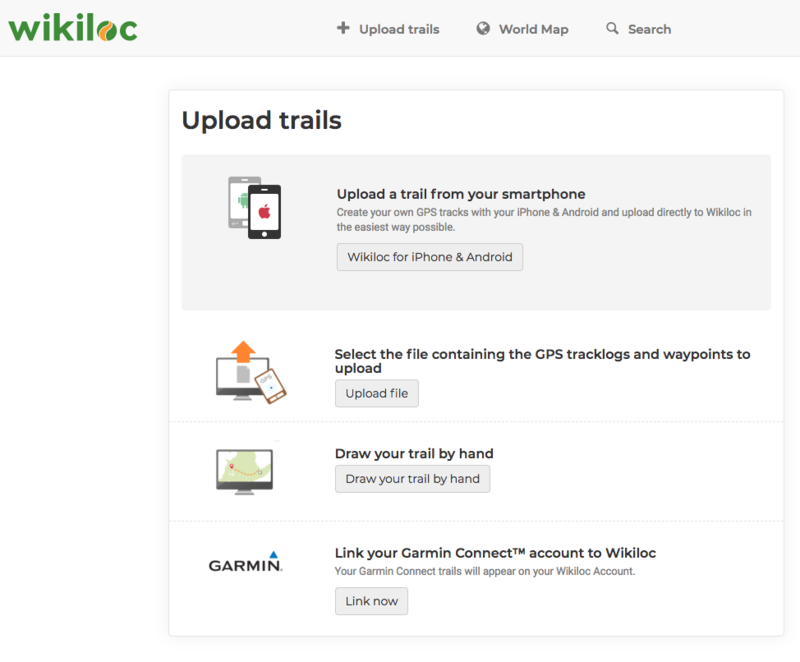 Uploading a trail from the Android [Google Play] or iOS [Apple] App. Uploading a trail from the Web with a track file (usually with a .gpx extension). Manually creating a trail with Wikiloc's Website Trail Drawing Tool Wikiloc.